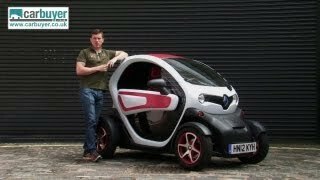 Renault Twizy looks like a toy and drives like a toy – but it isn’t a toy. Twizy, developed by Renault, is an amazing vehicle that combines the best of the car and the bicycle. It has all the agility and ease of a two-wheeler but boasts the safety, comfort and practicality of a four-wheeler. 100% electric and so 0% polluting, Twizy is the ideal solution for short urban trips. The full-electric Renault Twizy is a true automotive art work and also a concentrate of innovation. The vehicle’s tubular chassis and plastic body make it an authentic UDO, or “Unidentified Driving Object”, worthy of the best science fiction films. Yet Renault Twizy is a reality today. And what better ambassador than Colette, with its well-known penchant for “playful minimalism”, for this revolution in design and zero-emission mobility? It looks like a toy and drives like a toy – but it isn’t a toy. 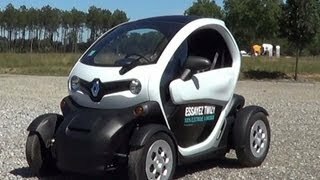 Twizy, developed by Renault Sport Technologies, is an amazing vehicle that combines the best of the car and the bicycle. It has all the agility and ease of a two-wheeler but boasts the safety, comfort and practicality of a four-wheeler. 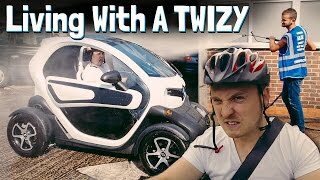 100% electric and so 0% polluting, Twizy is the ideal solution for short urban trips. With the acceleration of a 125 cc scooter, Twizy is a little racer with a velvet touch. It is completely silent and can be parked anywhere, even perpendicular to the sidewalk. Safety-wise it is equipped as standard with a driver’s airbag, four-point seatbelts in the front and three-point belts in the back. In open and semi-closed version alike, Twizy keeps you in touch with the outside world. 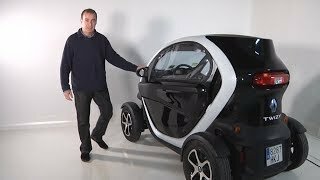 And desperate searches for gas stations are over, as Twizy can be charged on a regular socket at home, in your parking space and in parking lots. It takes just three and a half hours for a full charge, bringing you 115 km range, more than enough for urban use. colette first opened its doors in March 1997 situated along 213 rue Saint-Honoré in Paris. Aimed at reinventing the concept of retail, the seven-hundred square-meter establishment, adopted the tag line "styledesignartfood" to the business. Having since been internationally recognized as a fashion mecca which successfully redefines a unique blend of modernity and innovation with a twist, essentially, colette is a world of its own spotlighting 2 ultra-creative windows and in-store merchandising displays which alternate weekly, inspiring and educating clientele from all walks of life. Spanning three levels, customers are invited to encounter the colette experience, that of which comprises a never ending assortment of high-tech chrome arts and luxe jewelry, a specialist music/dvd library, a rare and exclusive book and magazine collection, a second-to-none beauty counter, an art gallery, a superbly chic mix of fashion labels, and a downstairs water bar (for those who like to dine in between shopping stints!). The colette concept reflects is a mix of new or hard-to-find products from around the world, all of which cater to an ever evolving mix of genres and tastes alike. Customers consider colette as a visionary meeting point, an house which accommodates new labels, exclusives, limited-edition products and high-quality brands, from both the past and present. Always the same, Never the same. This is what defines colette.